Volunteer Opportunitiess: Chai Lifeline Alumni helps you find volunteer opportunities in and around your community through our "Moving On" mentor program, transportation needs, food preparation, respite, blood donations, hospital visits, mini-Shabbatons, and more! Contact Miriam at mtennenbaum@chailifeline.org for more information. 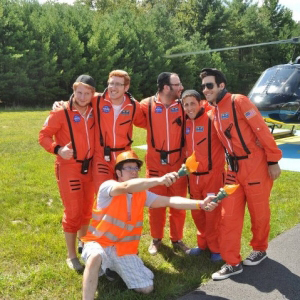 Shidduchim: Chai Lifeline Alumni is pleased to work with a team of experienced shadchanim to provide shidduch services to our Camp Simcha Alumni. Please email alumnishadchan@chailifeline.org for more information. Alumni Networking: Chai Lifeline Alumni is blessed to have many alumni in different fields and we will help you network and advance your careers through our networking events throughout the year. Be sure to join our LinkedIn Group to find fellow alumni in your field! Alumni Shabbatons: Chai Lifeline Alumni organizes Alumni Shabbatons in different communities throughout the year. Contact Miriam at mtennenbaum@chailifeline.orgif you are interested in bringing a shabbaton to your community. Simcha University: Share your passion or hobby with a sick child. You do not have to be an expert. You just have to want to teach it to someone else. We will match you up with a hospitalized or homebound child who wants to learn. Contact Miriam at mtennenbaum@chailifeline.org for more information.